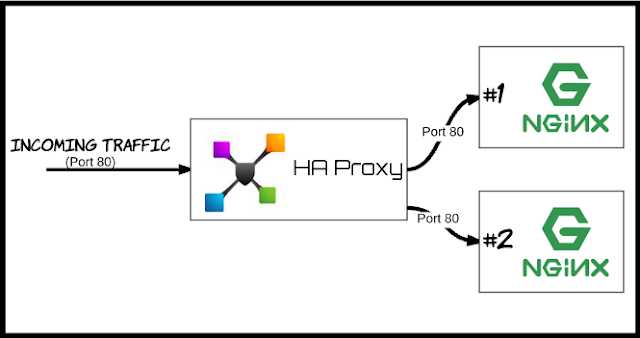 First what is HAProxy and why would you want it? 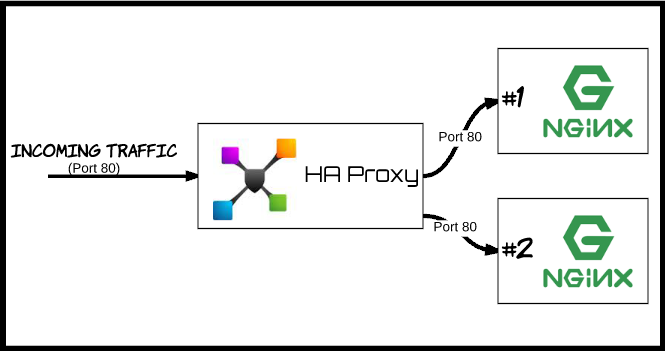 HAProxy is free, open source software that provides a high availability load balancer and proxy server for TCP and HTTP-based applications that spreads requests across multiple servers. It is written in C and has a reputation for being fast and efficient (in terms of processor and memory usage). So in short a free, open source, highly reliable load balancer. My goal for this test set up is to have an HAProxy box sitting in front of two nginx boxes listening on port 80. Something like this. I want to HAProxy to balance the load (traffic) between the two nginx boxes sitting behind it. With that in mind let me first roll two nginx boxes that listen on port 80. 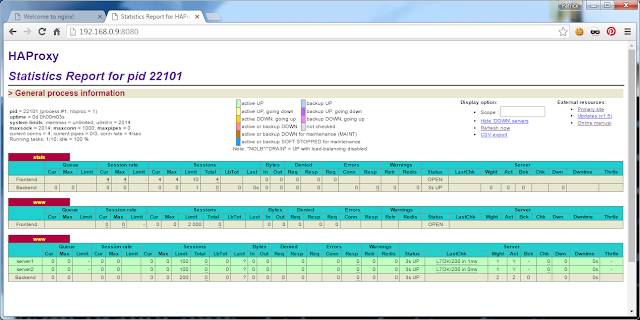 Edit the base html file so we know which server we are hitting. 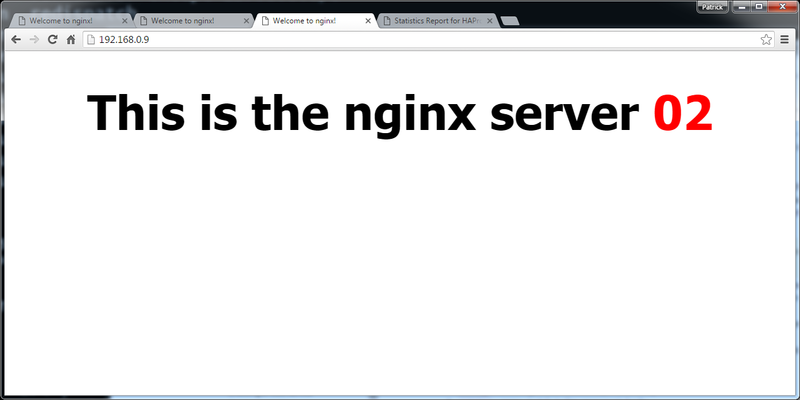 Now that I have two nginx boxes set up to load balance between let me install and set up HAProxy on my third box. 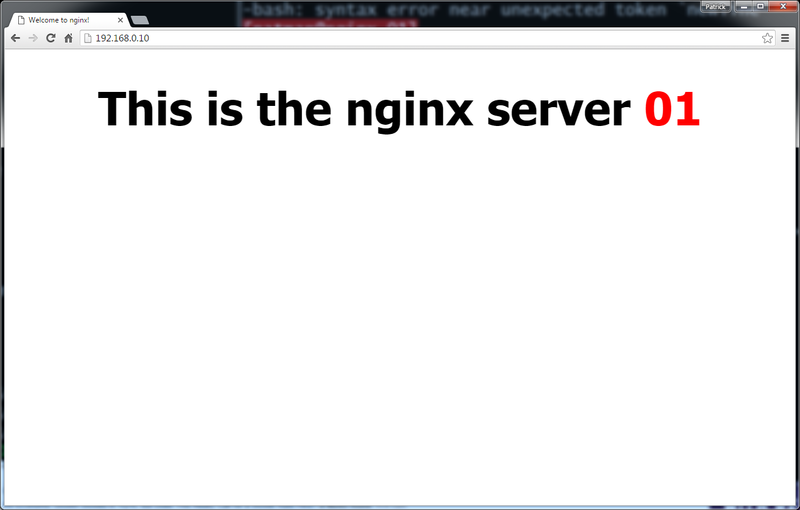 Let me add a repository so I can install the newer version. Refresh it a few times and watch it go back and forth. That was a very simple basic example. Let me see if I can do a few more advanced things. Now I can see some detailed information on my how my load balancer is doing. HAProxy is smart enough to stop routing to unhealthy boxes. 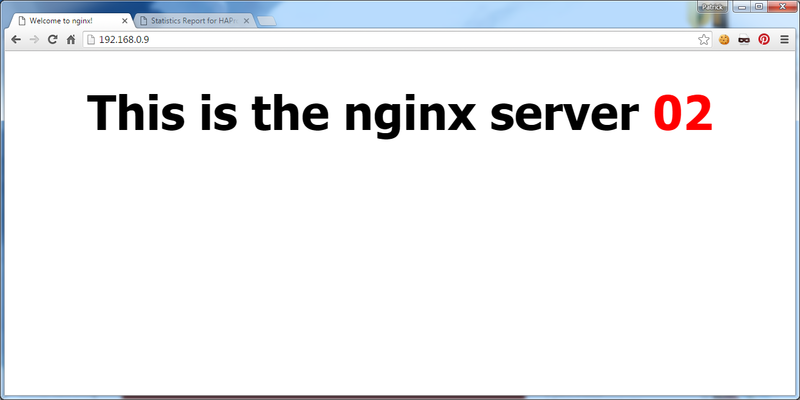 For example if I kill nginx on my first nginx box. 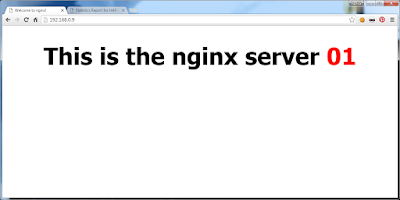 I get no information about it being down. 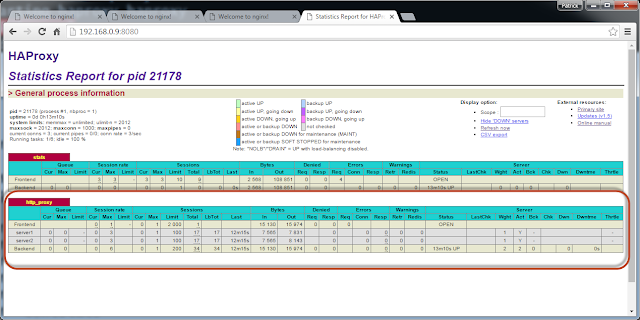 I can configure a health check and force it to check against a URL to determine if the machine should be part of the load balance. So what is going on in the code? 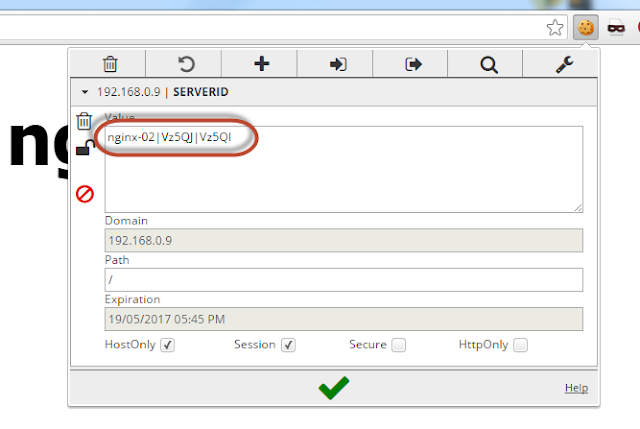 This part sets the check and tells it to use GET and to use the URL /check. This part says use the check and fall 2 is the number of consecutive checks that have to fail before the server is considered down. 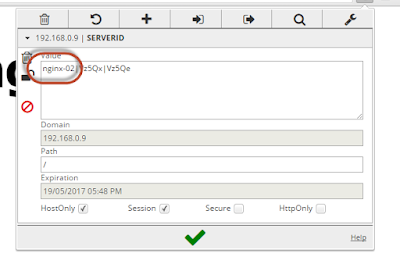 Rise 2 is the number of consecutive checks the server has to pass before it is considered up. So since these are simple nginx servers I can make a file there. Let me just make a file on the first nginx box and bring that one back up. And the one server is back up! Let me run the same command on the second machine. What if you want a smarter health check that can check against a returned string? Let me check for the string "UP"
Now it should check for the string UP and also I pulled out the fall and rise per server into a default-server setting. 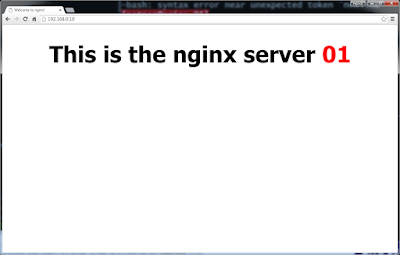 Now it's failing again. Even though we do have a file at /check it is empty. And we are back up again. That will only match UP. 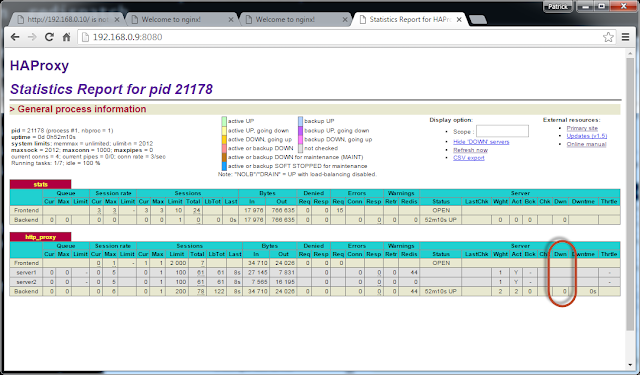 Looking around at a few configurations I see listen, frontend, and backend. What is the difference between them all. A "frontend" section describes a set of listening sockets accepting client connections. A "backend" section describes a set of servers to which the proxy will connect to forward incoming connections. A "listen" section defines a complete proxy with its frontend and backend parts combined in one section. It is generally useful for TCP-only traffic. OK so for my purposes using a frontend section and a backend section just separates out the responsibilities and I thin makes it a littler clearer as to what is going on. I can see I know have a two section www for frontend and www for backend www. As a quick test I removed the check file on one nginx server. 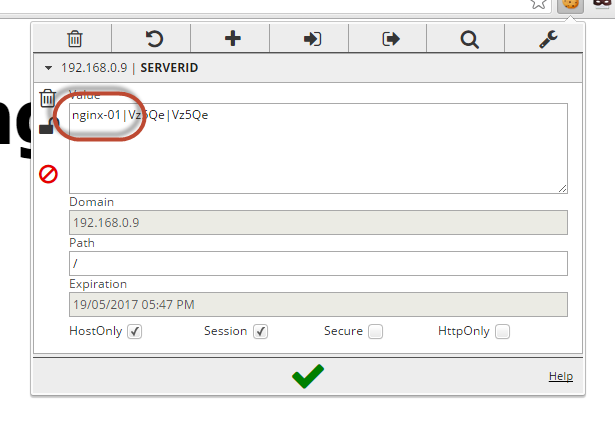 What if I am in a situation that I need to keep a session attached to the same server? In other words when someone hits my URL for the first time I do not care which server they hit. But when they hit I keep track of which box they hit and keep them talking to that box. So it if hits nginx box 2 it will keep hitting that same box for all requests. Here is my first go at it. 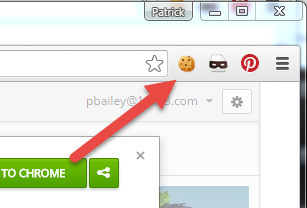 Just says insert a cookie named "SERVERID"
When you have it you should see this little cookie icon. 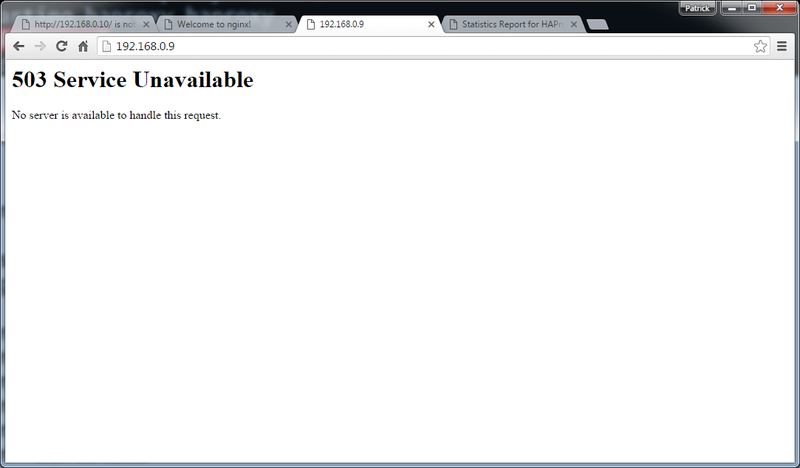 Reload it several times to see that you stick to the same server. 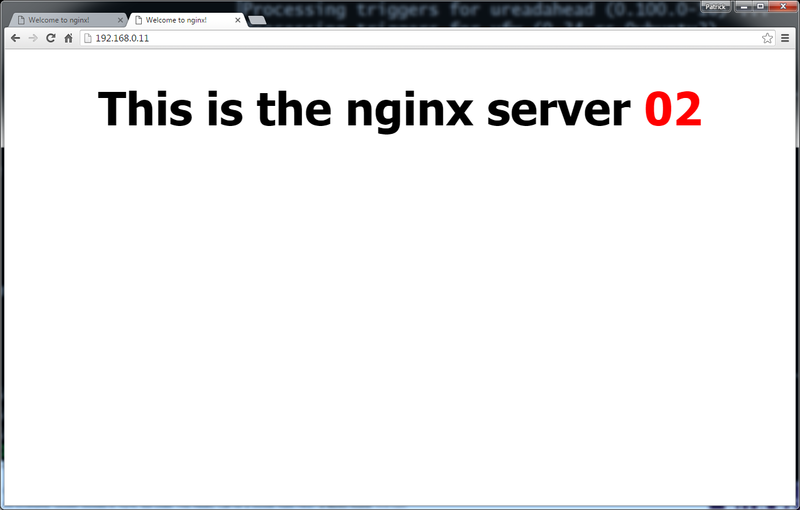 There is the cookie name SERVERID and the value nginx-02. Now as is I think, as long as someone does not wipe their cookies, they will be routed to the same server today, tomorrow and forever…. I do not like that idea so I tweaked mine a bit. 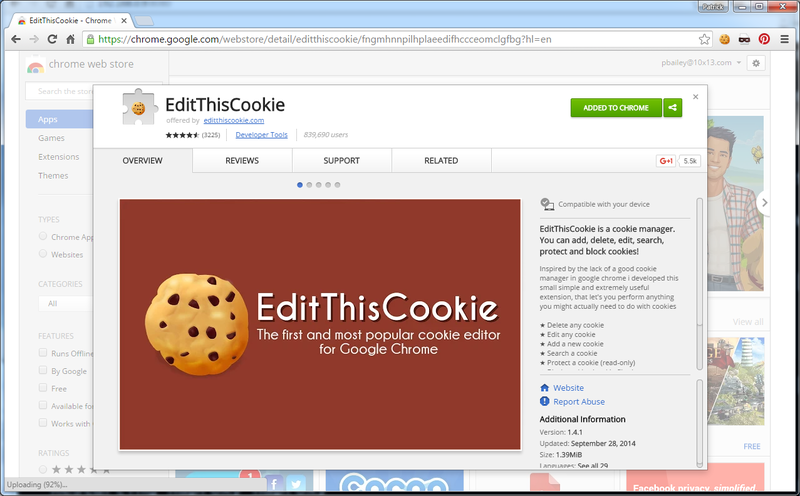 Looks like it stores the data here rather than expire the cookie. I ran several tests where I waited over 1 min to reload the page and I was able to get the other server. If I hit reload before the 1 min had elapsed I stayed on the server I was on. If I kept hitting refresh, eventually after two minutes, I switched to the other server. If I have a sticky session and the server goes down to I get routed to the other server? Yep made the jump no hesitiation. That gets me pretty far with what I want to do. I am sure there are a lot more neat little tweaks I will learn over the years but for now that is more than enough to get me going. Next I am going to do another write up trying to figure out how to add an SSL certificate.